My love affair with banana soft serve has been rekindled. In a small bowl, whisk together the lemon juice, agave, and pumpkin pie spice. Add the peeled the chopped apples and toss to coat. Pour onto a line dehydrator sheet and dehydrate for about an hour. This is an optional step. The dehydrating softens the apples a bit, but they still taste fine without it. 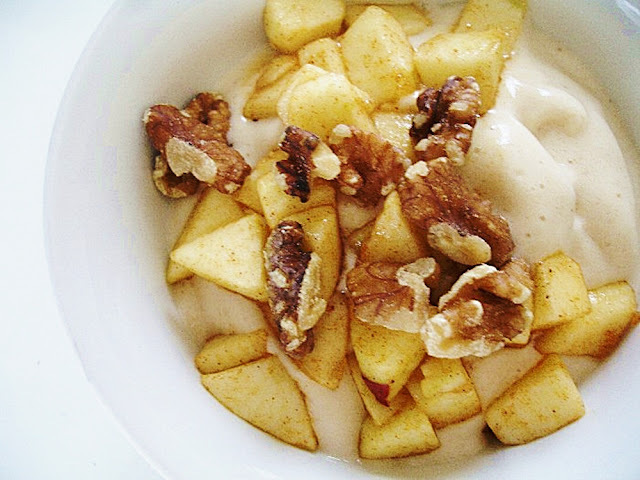 To make the soft serve, put the frozen banana slices in a food processor fitted with an "S" blade and process until thick and creamy. 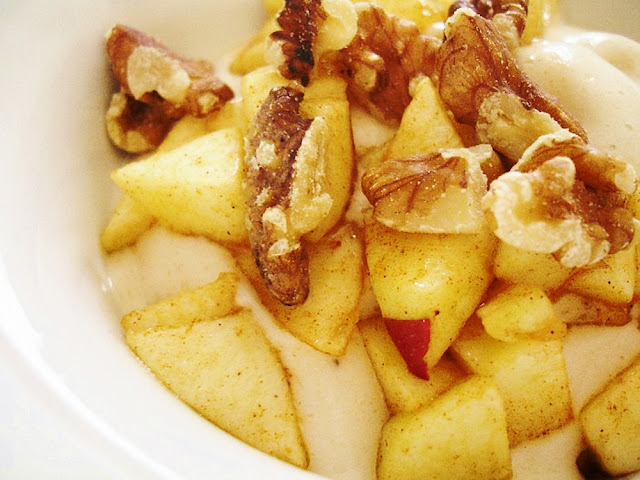 Top with the apples and walnuts.